Filed to: michael porter jr.Filed to: michael porter jr.
Michael Porter Jr., a lottery prospect who may be selected by the brain geniuses of Sacramento at No. 2 or may fall somewhere around the seven-ish range, sure has draft experts mumbling about his Character Issues. Their voices descend to bassy, knowing tones, and their sentences swell into ominous generalities. Right now, I’m a little, I’m a mix of Giannis and KD. You know, I like going to the hole a little more than KD does, I like bumping into people a little more physical than KD. But I also, you know I like to shoot the ball more than Giannis. So that’s what I like to compare myself to. Then also Tracy McGrady. I get compared to him a lot and I like that one a lot too. You know, those are three amazing players. So it doesn’t feel bad to be in the same conversation as them. It is possible that Porter Jr. likes his own Durant comparison because he too is a cheesebutt. 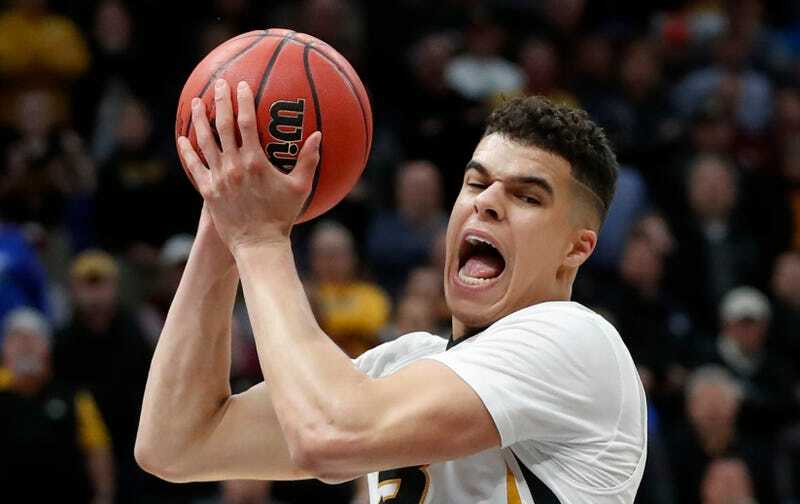 What Is Going On With Michael Porter Jr.?